Employee Spotlight helps you expand what your employees can do when they login with a few clicks. User roles define what a user can do once they login to your site. Employee Spotlight comes with "Employee" and "Employee Manager" roles. 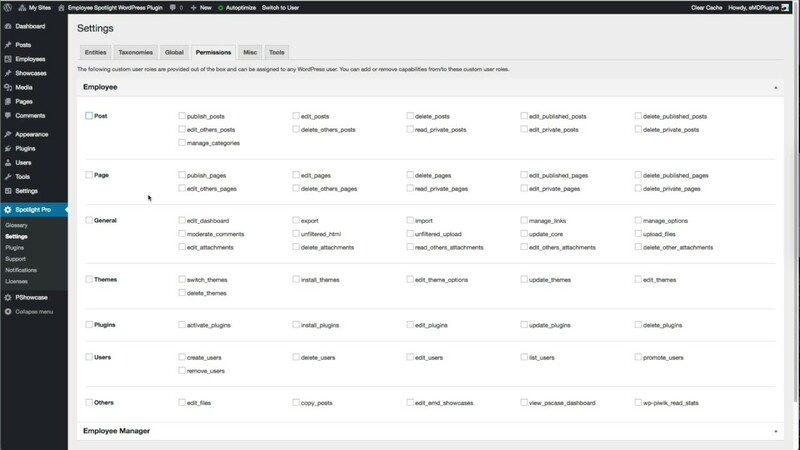 These built-in roles can be expanded to include other functionality available in your site from the plugin settings. For example, you can allow your employees to publish posts or respond to support tickets without needing a third party plugin.